Trade your usual skinnies for this comfier and more refined wrap skirt! 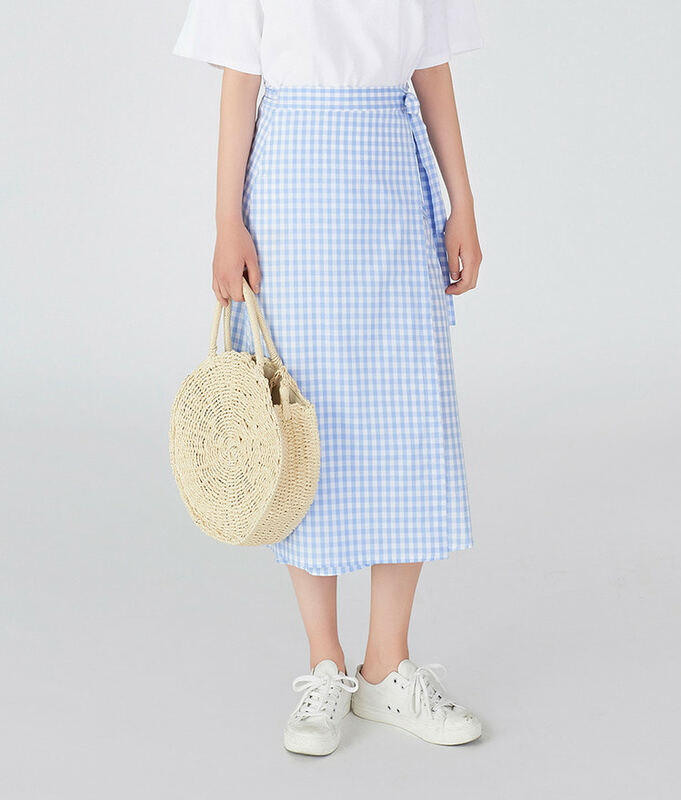 It has a high waist, self-tie side straps for a secure fit, a lovely gingham check pattern, and a modest mid-calf length. Tuck your tee into this skirt, then complete the casual look with slingback flats.